James Damore, 28, participated Sunday on the site's Ask Me Anything, a scheduled discussion with newsmakers that has ranged from former president Barack Obama to astronaut Scott Kelly, who answered questions from space. 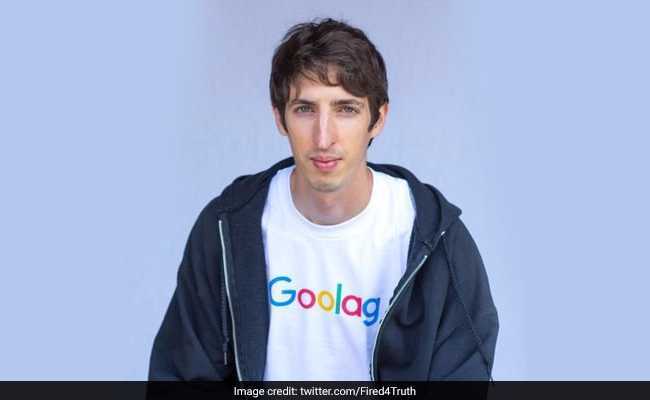 A former Google engineer who was fired after he circulated an internal memo suggesting that biological factors were part of the cause for the gender gap in the tech industry and that Google should "stop alienating conservatives," found a friendly audience on Reddit. The former Googler is at the center of fallout from his memo and subsequent firing, which have ignited debates on how well Silicon Valley companies have welcomed women in careers related to science, technology and engineering. Critics have said the memo, which uses studies to reinforce ideas suggesting women are less suitable for some tech jobs because of more "neuroticism" and less interest in technical jobs, points to larger issues of gender discrimination in the industry. Uber was roiled by sexual harassment probes that led to the dismissal of its chief executive, with one venture capitalist saying other crises are imminent. Damore kicked off his discussion by describing his memo as "critical of Google's ideological echo chamber and its effect on our culture and diversity program." The forum often focused on how widespread Damore's beliefs may be. "The majority of my friends side with James, but sadly they're afraid of losing their jobs and upsetting the community so they're all pretending to support the other side. It's sickening. I'm no less of a coward," a user named Ktygirl who identified herself as a female programmer said. She also called the memo "too polite" and believed it to be true. "Yes, I agree that many that support me are afraid of 'coming out of the closet,' " Damore replied. Some users doubted the authenticity of Ktygirl. Real names and identifiable information are not typically included in profiles, leaving the vast majority of Reddit users anonymous. In the thread that drew more than 2,200 comments, Damore opened up about some of the blowback he received after the memo circulated publicly. "I went to work but felt awkward and worked from the common space instead of my desk for much of the day," he said of his first day as a household name. "I worked from home on Monday because of personal threats to me." Google chief executive Sundar Pichai said "portions of the memo violate our Code of Conduct and cross the line by advancing harmful gender stereotypes in our workplace" before Damore was terminated. Other Reddit users asked about Damore's decision to circulate a charged manifesto in employee circles. User DinoInNameOnly suggested otherwise sympathetic tech workers thought it was the right message in the wrong medium. "I was participating in a concerted effort to discuss the terms and conditions of my working environment and point out potentially illegal policies/behavior. I believe I have a legal right to do that," Damore replied. Not all users were receptive to Damore's plight. User ionboat pointed out that Damore's creation of a discussion board, instead of hosting the session on the larger Ask Me Anything board, could have inoculated him from criticism. "I'll have to point to the distinct lack of opposing viewpoints in this thread as something worth criticizing," the user said. Damore claimed he did not know much about how Reddit works. User tkarlo was skeptical of that defense. "What's more likely, he was too lazy to look up the right forum, or he was too afraid to subject himself to it? Given his choice of media outlets to date, the latter seems more likely," the user said, referring to friendly interview formats, such as conservative YouTube personalities. "I'm a Googler, and anyone who thinks most employees agree with him is either lying about being an employee, or delusional."